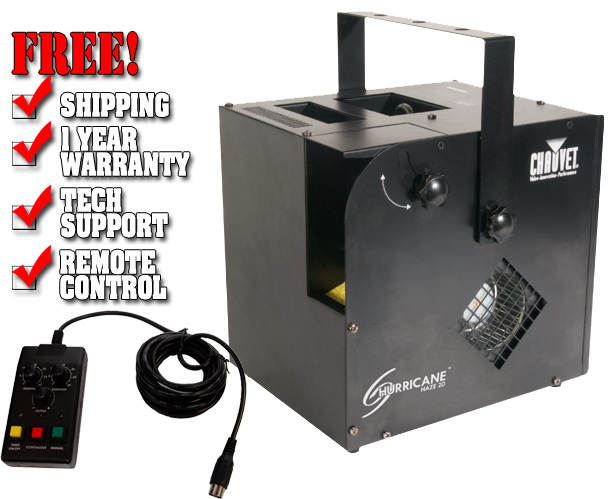 Hurricane™ Haze 2D is a water-based haze machine with continuous output and a digital display to set DMX and stand alone functions with ease. 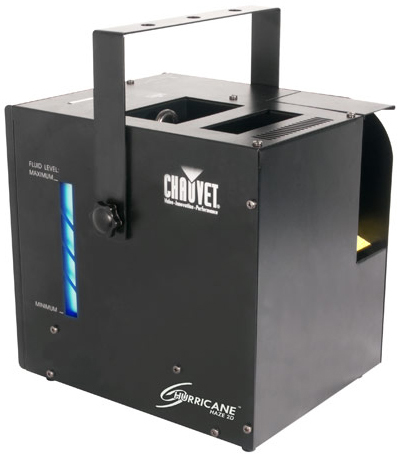 It features adjustable blower output speeds and nozzle to get the haze where you need it. The low fluid indicator gives a warning before running out of fluid. 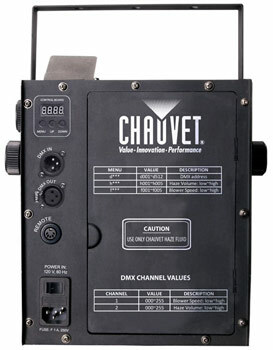 An included wired, timer remote stores conveniently in the fixture.